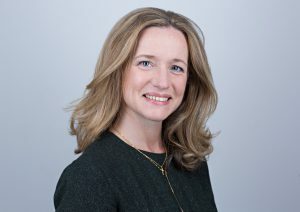 This Financial Capability Week, Director of Sustainable Banking at RBS Kirsty Britz shares how the bank is supporting parents to help their children become confident money managers now and in the future. Financial Capability Week celebrates the vital work underway to improve the nation’s financial wellbeing. That’s where we can help. We believe we have a vital role to play in supporting parents to help teach their children how to manage money. MoneySense has been running for 23 years in the UK and delivering fun, practical learning in 60% of secondary schools and 30% of primary schools all across the UK. It’s based on real scenarios, designed to get everyone involved in learning about money at home and school. All MoneySense learning is free to access at www.mymoneysense.com, and can help parents teach their children about managing money from a young age. Designed to open up discussions about money, the activities are based on planning the weekly shop, saving up for a mobile phone or starting a weekend job – all of which involve essential skills like budgeting and saving. We should all be proud that MoneySense has already taught 4.5 million young people about money, and we’re on a mission to reaching a million more by the end of 2018.